in her most elegant winter coat. 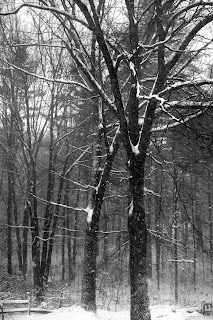 I know that is my woods :) Take care this very day and stay warm. I love the third, the trees wearing white. Lovely photos. Thanks for your comment! 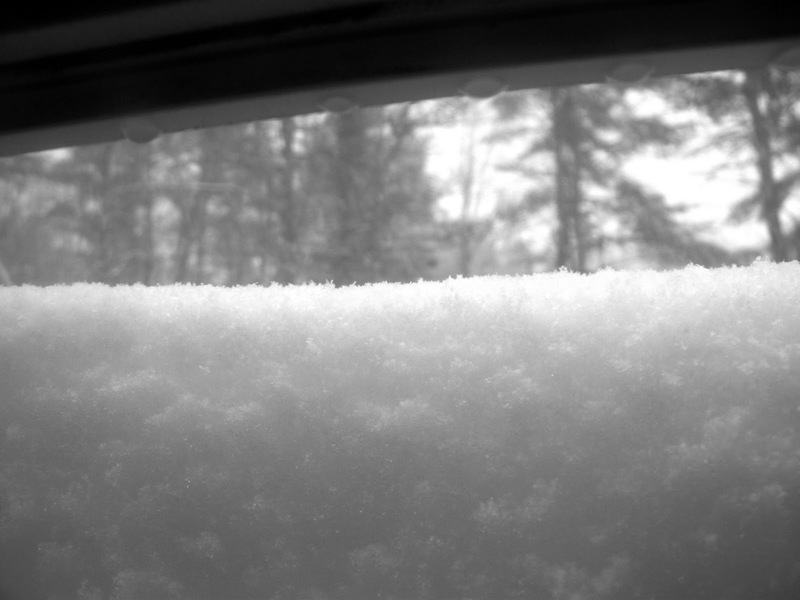 I like the first photo, with the snow covering the window! Hopefully, that is wind driven snow, and not what has fallen straight down!!! Lovely photos and words. I do believe we have finally gotten out of the little bit we got here in Georgia. Brrrr. I love the photos, but just to look at them makes me cold. Have a great weekend. Limited information gives me lots of imagination, especially in B&W! Beautiful series. I really like the movement of the snow in the last one! Beautiful pictures, Laura. What a treat to wake up to. Lovely photos. I really like the first one, it just allows a little peek into the winter wonderland. Great b&w shots! Especial the third! yes, that third photo is moody and beautiful. It looks like a vintage photograph and I love it. this is astounding- especially to me. You know, we hardly ever get snow here in the canaries, except for the highest picks, but that's too way up from where i live... Last Sunday I was swimming in the sea and, seeing your photos i had to put on a blanket on my shoulders, for it is cold here yes,now at night, yes it is but...OMG never like that! Looking at your world through my 80 degree and sunny glasses, makes your world almost magical. There is so much beauty in all of it. I just caught up on what has been going on with you and I am sad about your health quandaries. Figuring out the right course of action can be so puzzling. How are we supposed to know what will be best for our own body and our own situation? As always, you are in my thoughts and prayers, dear heart. That first one is a little intimidating, I'm not so sure I'd want to open the door after seeing that! Beautiful photos with the gorgeous treatment of black and white! Isn't freshly fallen snow the most peaceful looking thing :o) Thanks for sharing! Beautiful winter images... this is the season at its bet. ...and what a beautiful coat it is! plus, i love the silence that accompanies it. there is indeed beauty even in the basement! 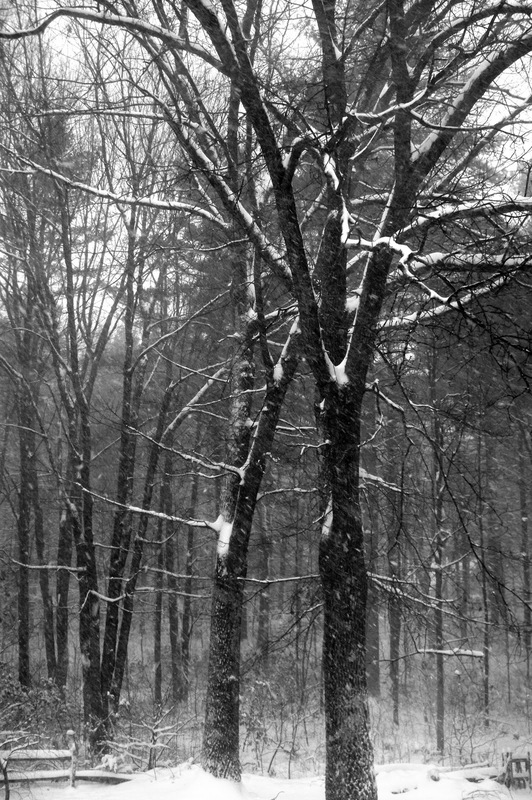 The black and white magnifies the cold and snow beautifully.